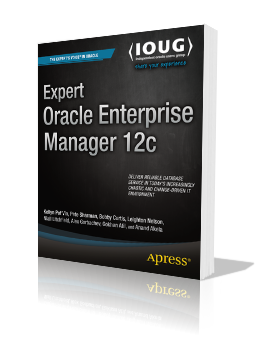 Gokhan Atil is one of the co-authors of Expert Oracle Enterprise Manager 12c book. Well known experts including Kellyn Pot’vin, Anand Akela, Bobby Curtis, Alex Gorbachev, Niall Litchfield, Leighton Nelson, Pete Sharman, came together to write this book. Database administrators and system administrators are expected to offer increasing levels of service for 24X7 systems and newer cloud environments. Em12c offers robust, end-to-end intelligent management of the complete environment. It includes direct, real-time integration with Oracle’s online knowledge base. Expert Oracle Enterprise Manager 12c helps you master this important tool and manage any challenge that comes your way. 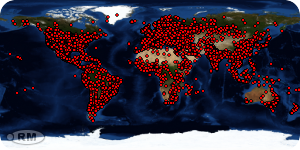 Provides example solutions to everyday problems through EM12c features. Explains the changes in EM12c, included trusted extensions. Focuses on advanced aspects of the EM12c interface. Expert Oracle Enterprise Manager 12c is for database administrators who are ready to upgrade, or who have already upgraded to Enterprise Manager 12c. The book also appeals to system administrators who may have responsibility for helping support Oracle Database environments – including RAC and Exadata – at the enterprise level. You can order the book from APRESS website.